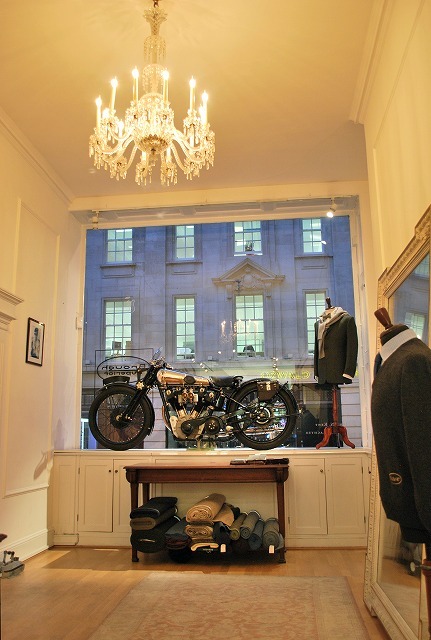 Savile Row every single garment that bears our name is painstakingly hand cut and hand sewn by the best tailors in London. 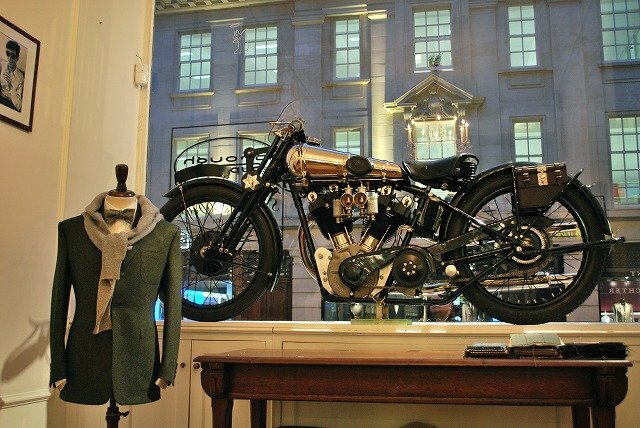 finest suits that a gentleman can buy. 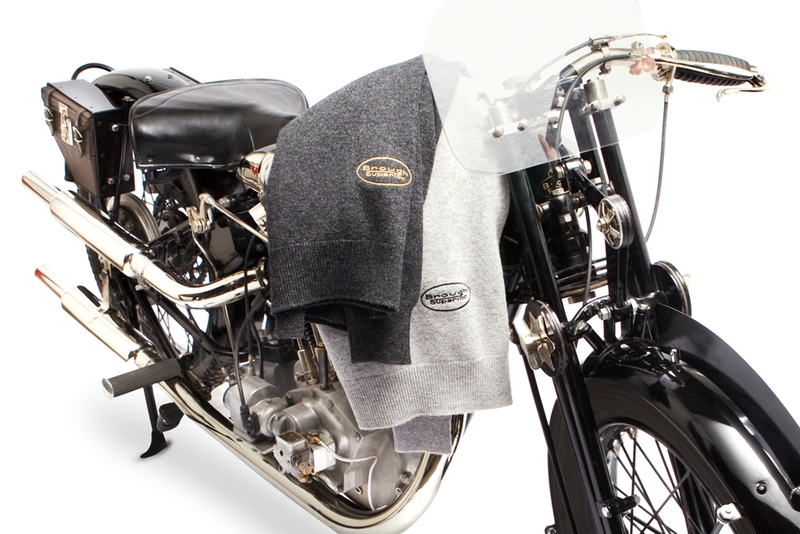 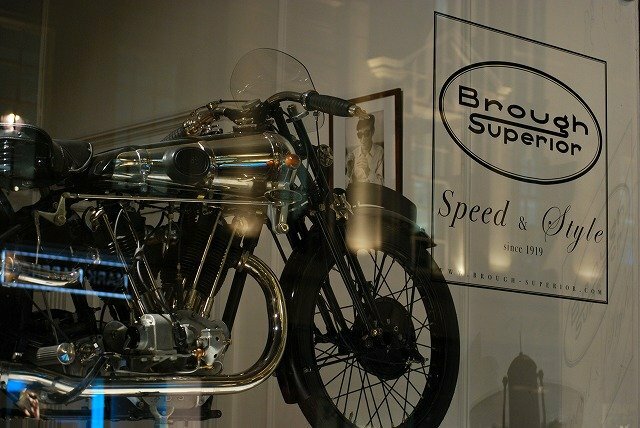 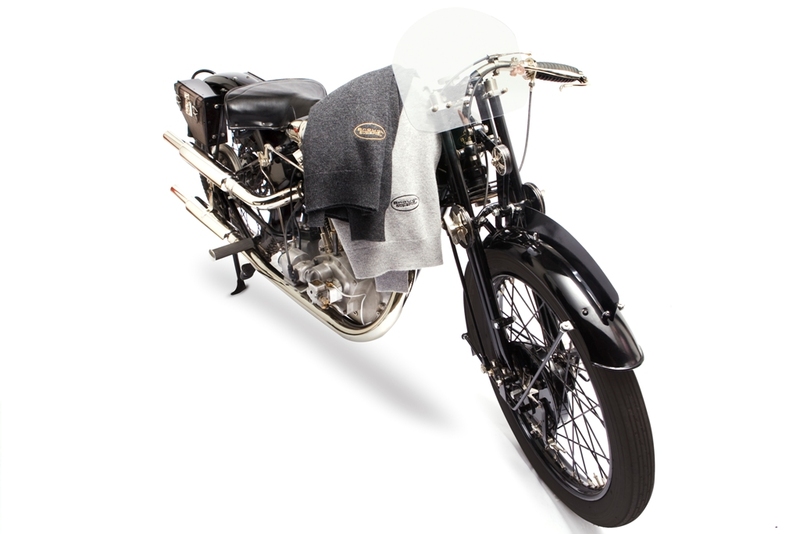 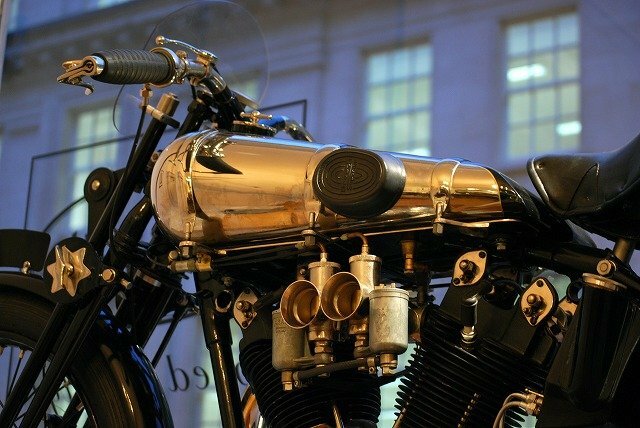 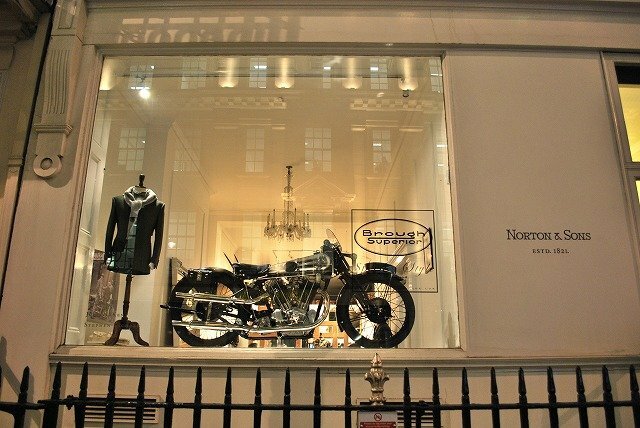 As part of the relaunch of Brough Superior Motorcycles the company is working with venerable Savile Row tailors Norton & Sons to create a limited collection of high quality British-made clothing inspired by some of their adventurer customers of the the Twenties & Thirties. 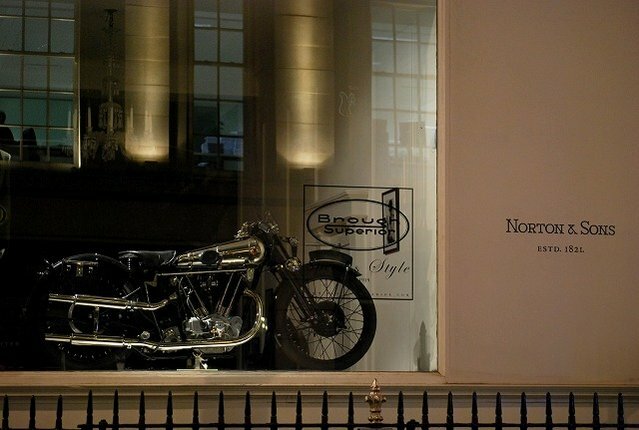 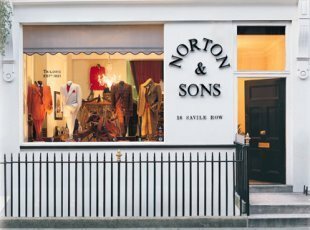 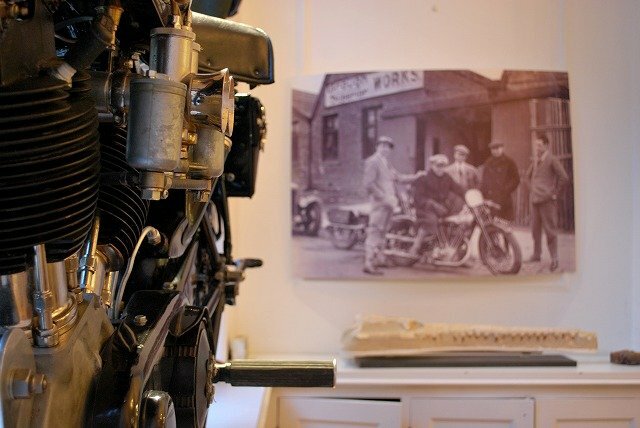 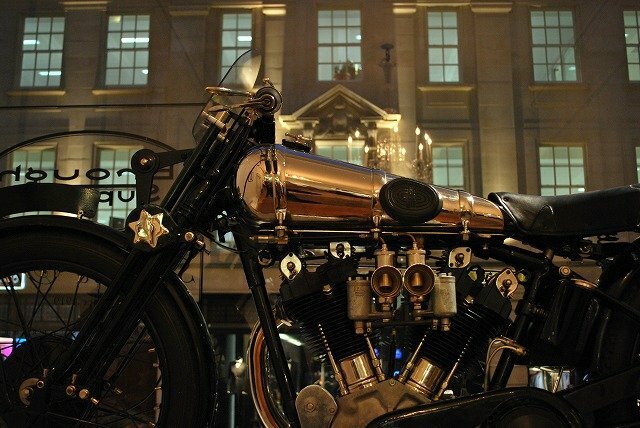 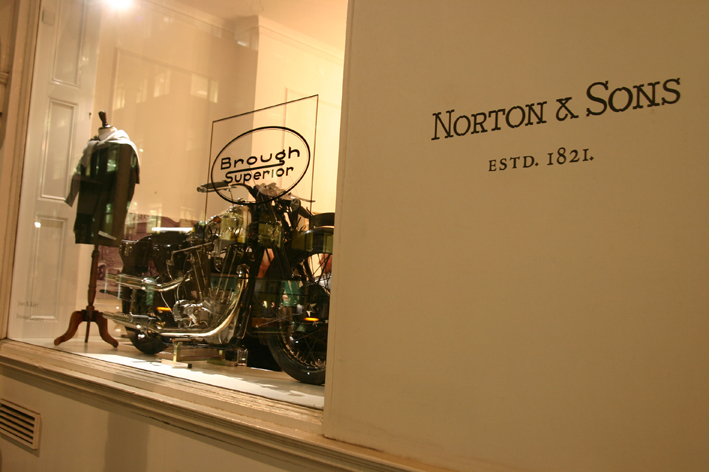 The first examples of this collaboration were shown on the evening of March 2nd at the Savile Row premises of Norton & Sons to an invited group of press and motorcycling guests. 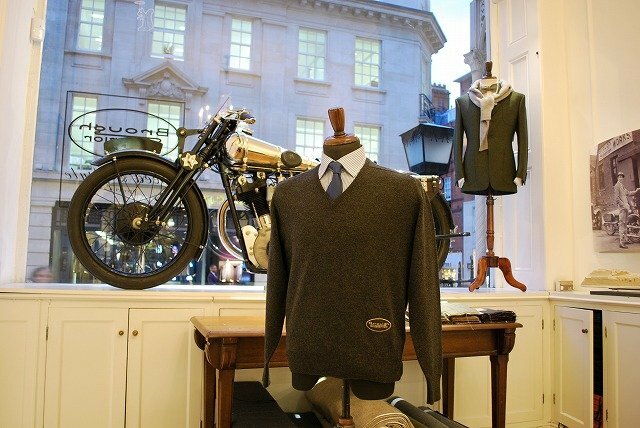 Over canapes and champagne there was ample opportunity to examine the new SS101 model Pendine -- showcased in the illuminated window.-- alongside the pair of William Lockie jumpers in flannel grey and charcoal, each individually embroidered with the famous Brough logo in black and gold. 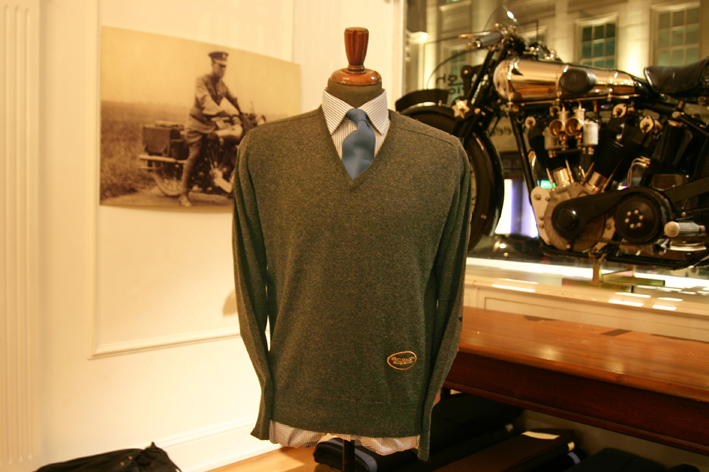 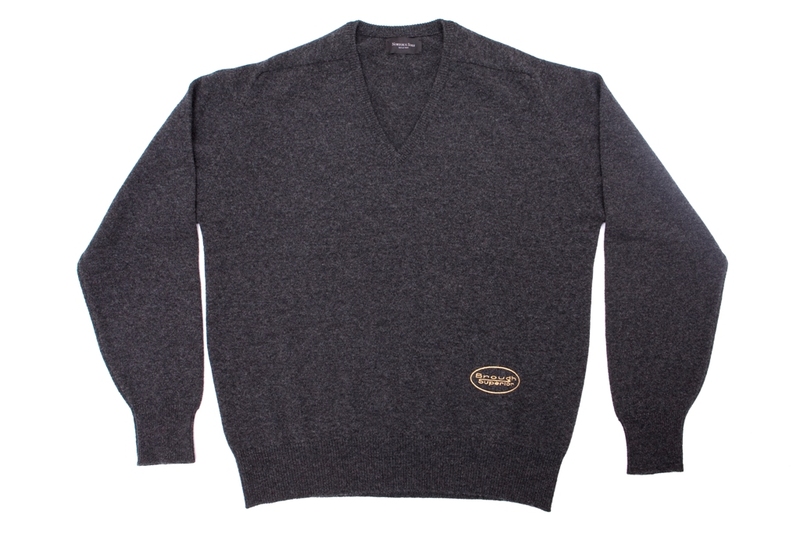 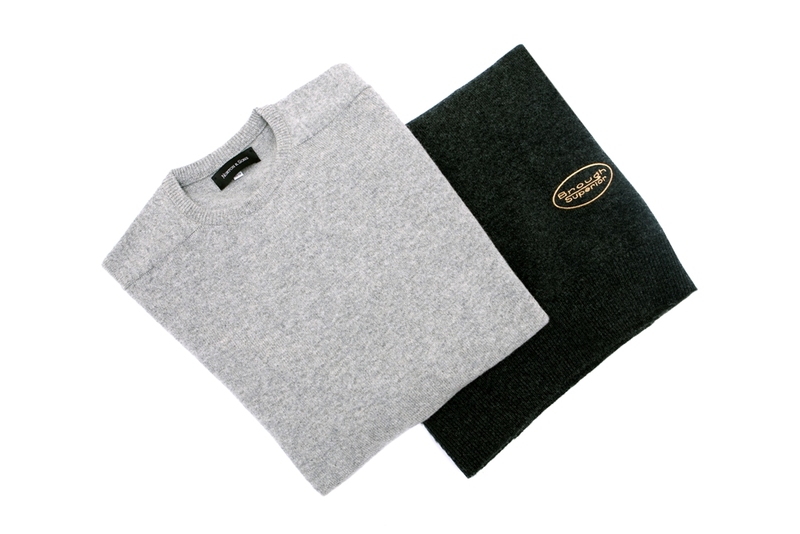 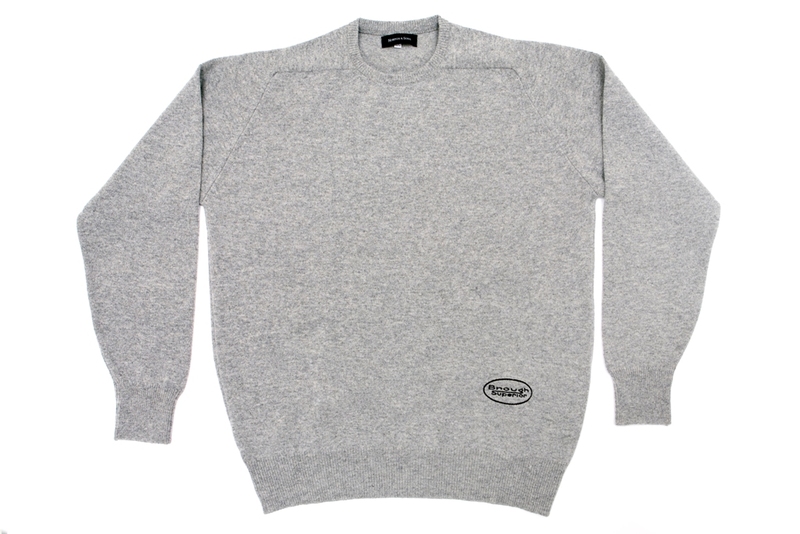 Hand-made in their renowned woollen mill at Hawick, Scotland,.only the finest materials are used. 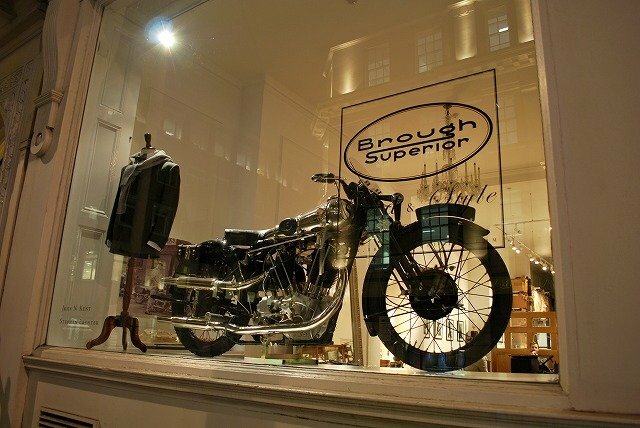 Brough's first entry into the quality apparel arena will be followed by a discerning selection of shirts, belts, and ties, including a range of leather riding gear later in the season. 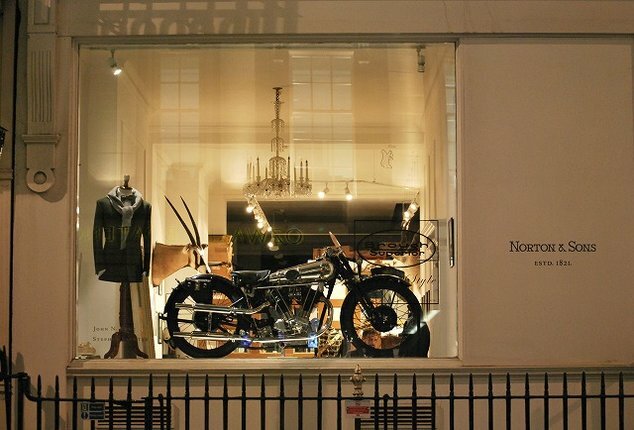 Following this successful launch the black and gold liveried Pendine, resplendant with nickel-plated brightwork, remained on display in the exclusive Savile Row window until March 17th.